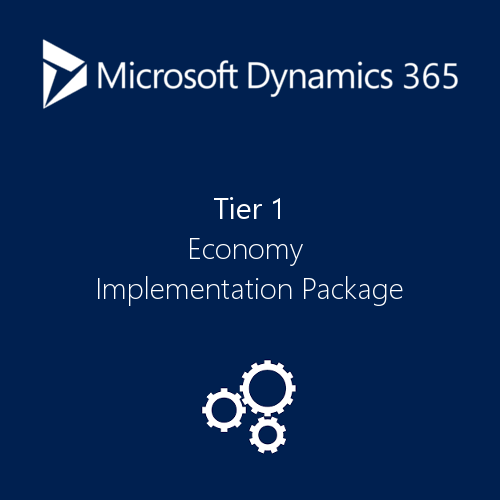 Our Tier 1 Economy – Dynamics 365 Implementation Plan is for the organization that just requires basic set up and training classes. This customer has an experienced staff and we will be providing guidance and coaching more than implementation services. This plan includes 15 hours of assistance and consulting efforts. Visit our Parent Company Website to access tons of product resources. Microsoft Dynamics 365 is unique from all other ERP systems because it empowers users to utilize the Microsoft stack and work inside of Microsoft Outlook while handling financials, sales, purchasing, CRM and other related tasks. Microsoft Dynamics 365 apps will use a common data model that is shared with Office 365. Microsoft’s goal is to simplify data management across apps and business processes. This will redefine business processes and eliminate historical boundaries between CRM and ERP. Microsoft Dynamics 365 is the next generation of business apps in the cloud. This is specifically unique to the ERP marketplace and these apps bring together the full power of the Microsoft stack across productivity, advanced analytics, Power BI and IoT, with the strength of Azure and a new application platform and common data model. The Microsoft Dynamics 365 name reflects the significance of the offering and the coming together of the two worlds structured business processes and unstructured personal productivity so companies can achieve more. Buy-dynamics.com provides the perfect solution for startups, large enterprises, and companies anywhere in the world. We are combining the new way to buy with the trust of knowing a Microsoft Gold certified partner stands behind the consumer. buy-dynamics.com constantly strives to provide the lowest prices GUARANTEED, the best customer service and to always meet our client’s needs. We are proud of our team and we hope to continue to win your business. Copyright 2019 Buy-Dynamics.com | All Rights Reserved | A Technology Management Concepts Company.